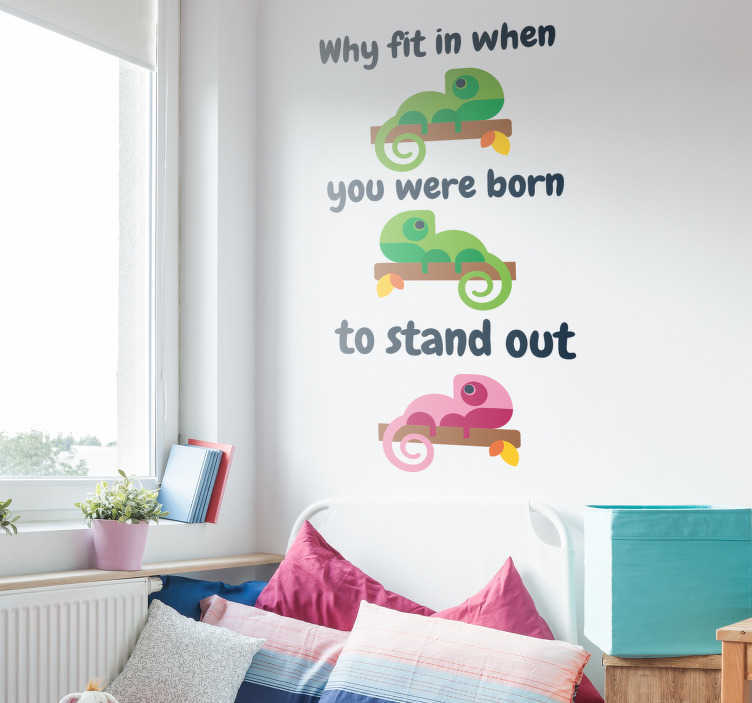 ´Why fit in when you were born to stand out?´ - A very salient question from Dr Seuss and one which nobody can properly answer, so why not decorate your home with this unique and original wall sticker, asking exactly that question? Fantastic text home decor for any part of your house given the message it transmits! Available in a variety of sizes. Colour of text can be changed on request. Like all of our decals, it is easy to apply and extremely long-lasting. Made using bubble-proof vinyl and leaves no damage or residue upon removal.